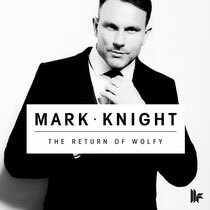 Toolroom Records recently announced ‘The Return Of Wolfy’, the first single release of the year from one of our favourite DJ/producers, Toolroom label head honcho Mark Knight. With his recent remixes proving popular, Grammy nominated international DJ and producer Mark Knight has firmly set his sights on the upcoming summer season. ‘The Return Of Wolfy’ could well be the highlight of many DJs’ sets, and should inspire full support from fans of ‘90s house music, as well as modern day enthusiasts. Recently premiered at the Miami Winter Music Conference, this may well be the first real biggie of he year. Check it out below, it’s out 7 April.